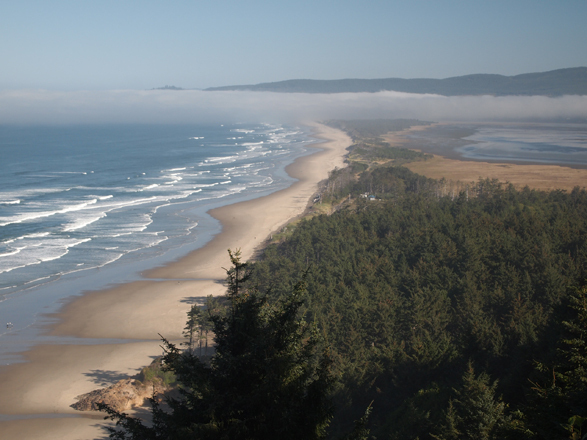 Alexander and I just returned from a trip along the Pacific Coast of beautiful Oregon. 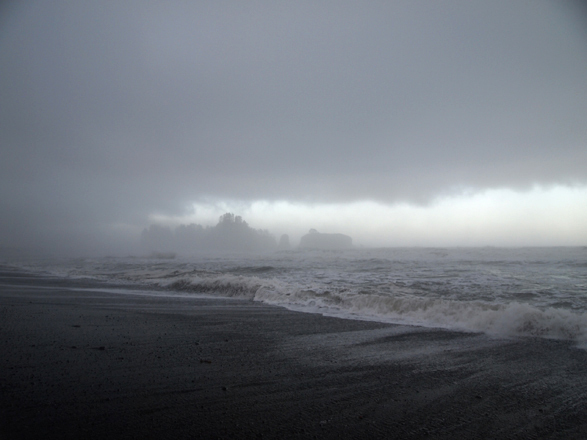 We started out in Victoria where his father picked us up and from there it was a ferry over to Port Angeles and then straight to Olympic National Park. The idea was to camp and so, along came a borrowed pop up trailer. On the second night we tried to camp close to the beach but as it turned out it was actually a parking lot and so we had to take down the trailer which never opened up after that. It was motels all the way to Portland. 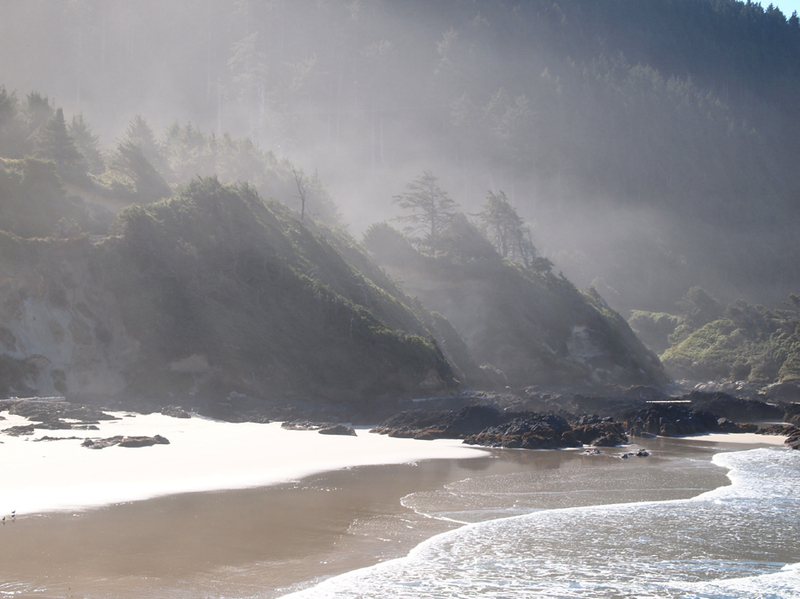 The weather couldn’t be better through the entire ten days; sun lighting up the foggy shores and rock stacks. Trailer or no trailer it turned out to be a good trip. 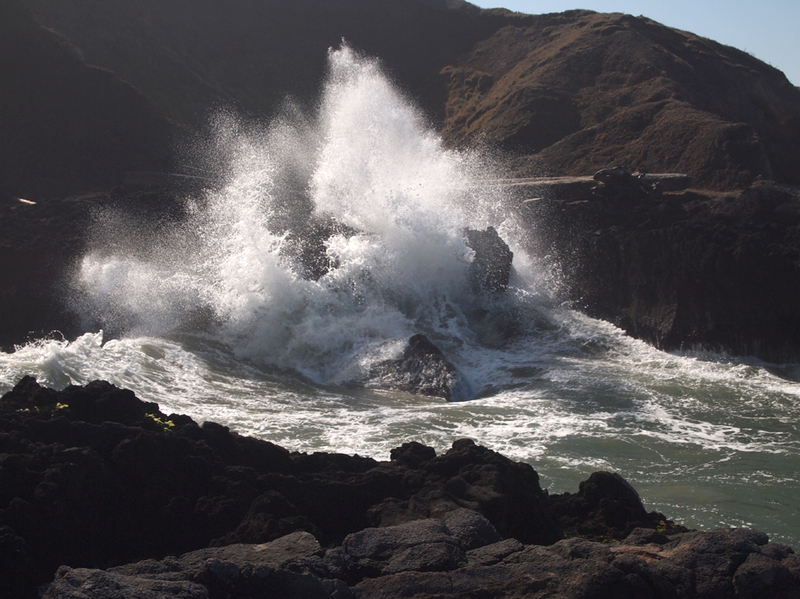 Lots of water; Pacific ocean, mist, crashing waves, tides coming in, tidal pools, hot springs, gushing waterfalls…. but no rain! 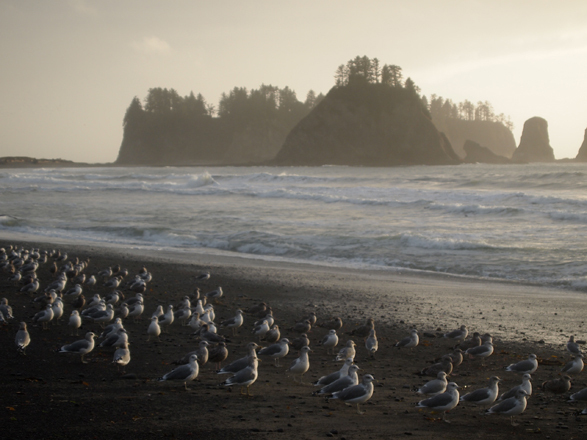 After the rainforest, waterfalls and hot springs of the Olympic National Park, US route 101 took us from one coastal town to the next. 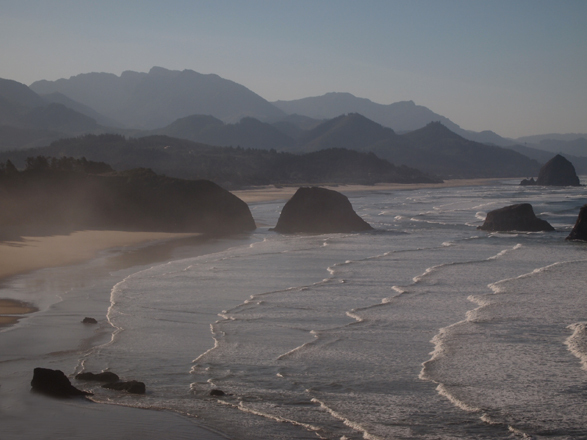 In between there were many stops, what seemed like every ten meters for scenic views and short hikes, wave crashing watching, and dodging the low tide waves along the rocky shores. 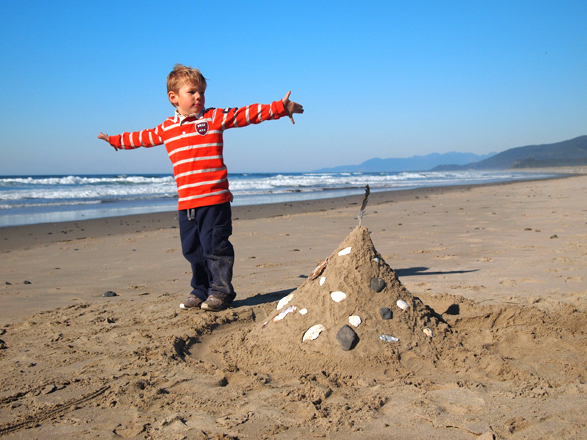 Of course wherever there was sand, and there was a lot, there was a castle waiting to be built. 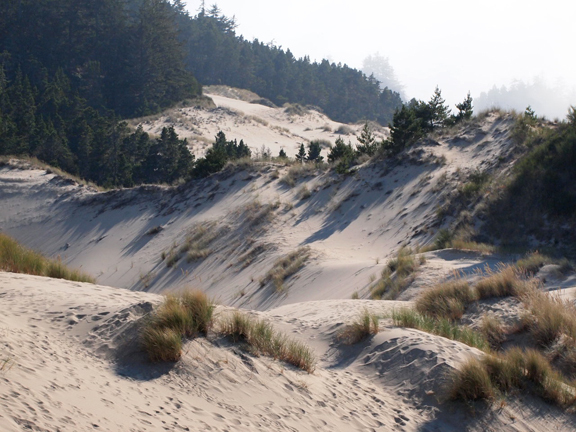 Next was Siuslaw National Forest and then the Sand Dunes National Recreation Area. 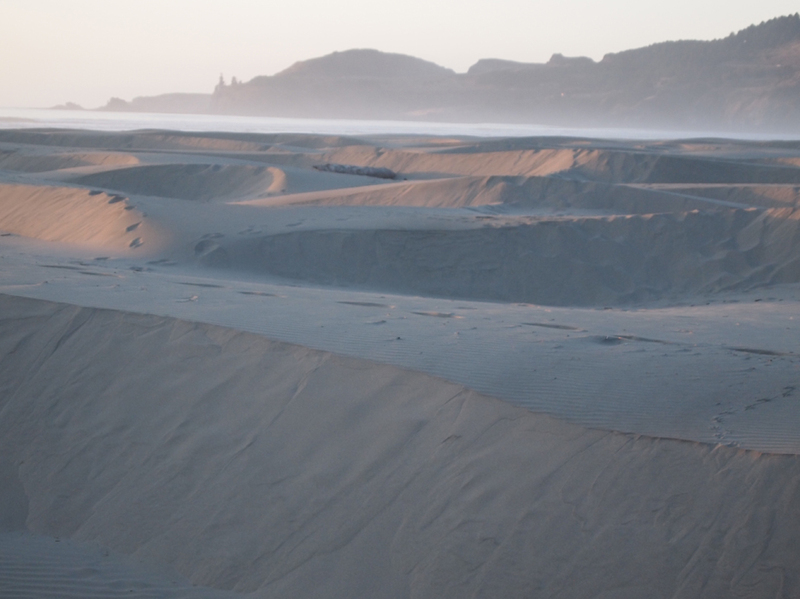 The beach there accessible through the sand dunes went on for hundreds of miles. One of the hikes we did was a grueling climb up and down dunes for about 3kms and then another 3km stroll along the beach to complete the circle back to the trailhead. 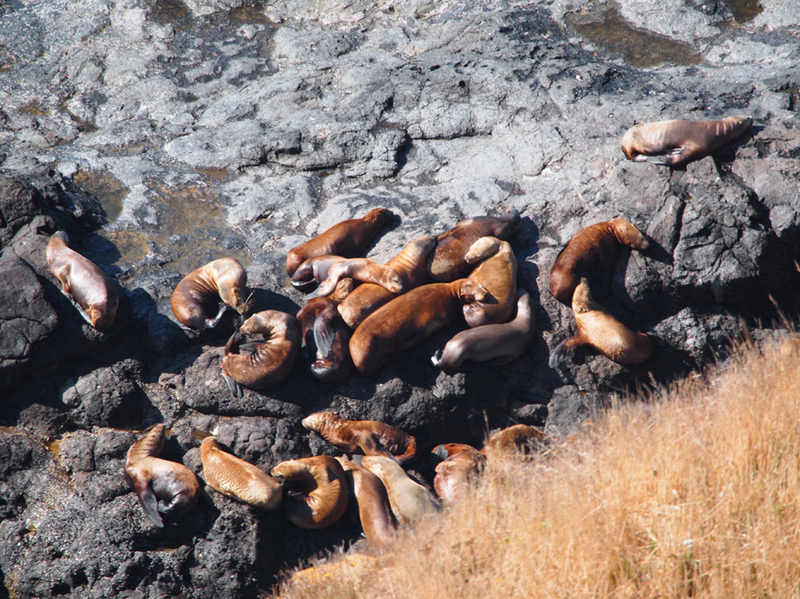 Just north of Florence we descended into a sea lion cave which seems to be the highlight of the trip for Alexander. He explains that “the sea lions stay outside on the rocks and only move into the caves to be safe, when the weather gets bad”. 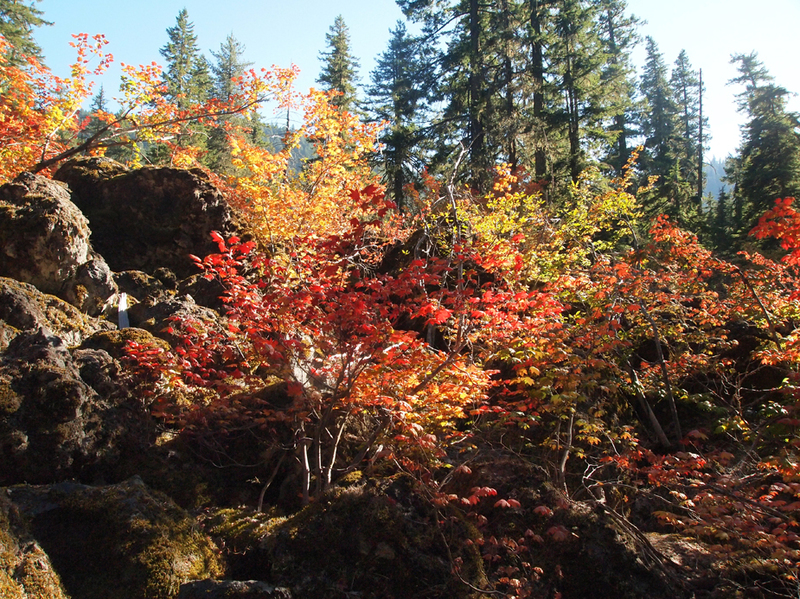 In Willamette national Forest, the fall coloured McKenzie Pass – Santiam Pass National Scenic Byway – a windy loop that includes the highest concentration of snow-capped volcanoes in the lower 48 states, took us to a town called Sisters where despite promises of tonnes of motels we found one that was way over our budget and so continued on to Bend for the night. 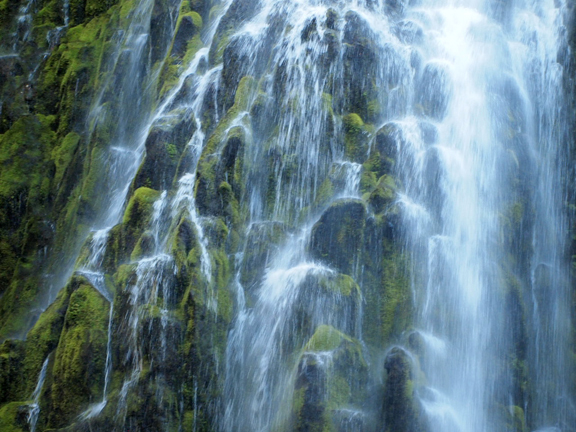 It was a well worth drive down the winding highway with the highest elevation reaching 5325ft, and a colourfull hike to the breathtaking 200ft tall Proxy Falls. 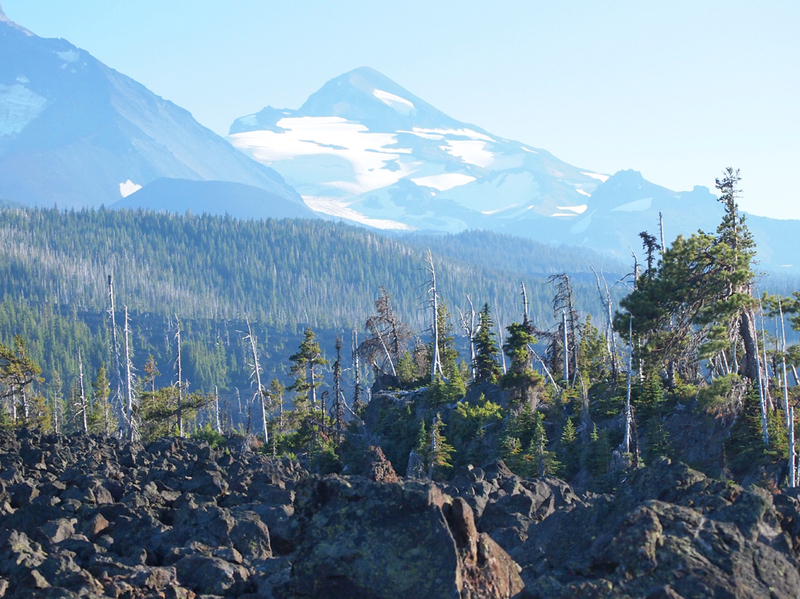 The pass was an unbelievable explosion of volcanic rock …literally.